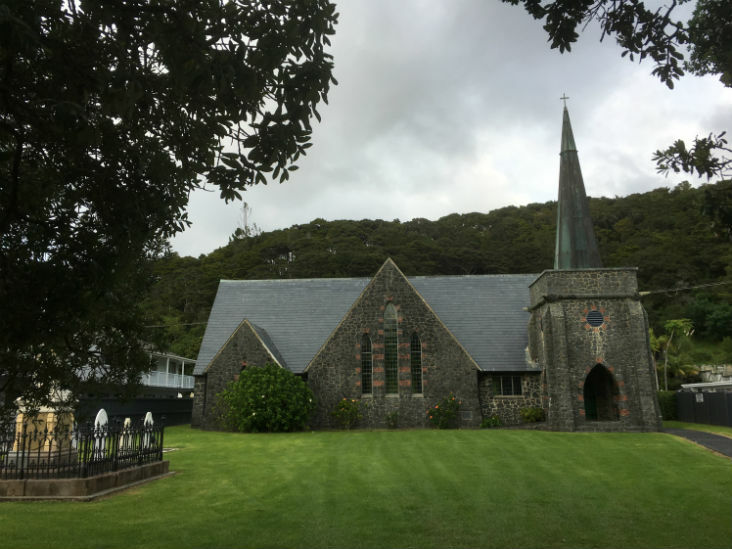 St Pauls Anglican Church in Paihia features massive walls of blue stone, quarried locally with contrasting brick ornamentation around arched doors and windows. The roof is slated while above the main entrance there is a lead-capped spiral. The church commemorates the famous missionary, Henry Williams. The hand organ, the second oldest in New Zealand, once belonged to Archdeacon Henry Williams. In the adjoining graveyard dating from about 1826 several important people in European history lie buried. St Paul’s Paihia is a magnificent church in an attractive setting and its association with the important historical figure of Henry Williams makes it one of New Zealand’s most notable churches. Services are: Every Sunday at 10 a.m. First and Third Sundays of the month is morning prayer, other Sundays Eucharist.rist.